Save 18% with tickets to The London Eye & River Thames Sightseeing Cruise! See London like never before with a sightseeing package that takes you through the heart of London on the London Eye River Cruise, as well as raising you high above the capital on Europe's tallest Ferris wheel. Explore this magnificent city from the River Thames as you gently meander past world famous landmarks including the Tower of London and Houses of Parliament. You'll pass under the iconic Tower Bridge while discovering the history of the capital, built around the twists and turns of the Thames, from the on-board professional commentary. The Red Rover River Cruise is also a fantastic way to get around the city as you are free to hop on/hop off as many times as you wish which means you can skip the rush hour traffic in style when travelling between many of London's top attractions. Save 18% with London Eye River Cruise tickets today! There are no time restrictions on our tickets. You may visit any time between the opening hours. For the last boats of the day, please check return times with a member of staff. Actual times may vary depending upon the state of the tide and other river traffic. 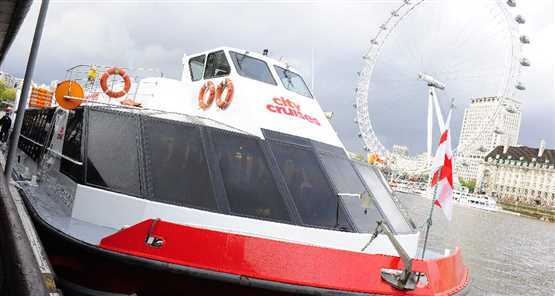 Always check with City Cruises staff for any changes to advertised service. All journey times shown are approximate. Actual times may vary depending upon the state of the tide and other river traffic. Westminster Pier is close to Westminster Abbey, the Houses of Parliament (with Big Ben), Horse Guards, Whitehall and the Churchill Museum and Cabinet War Rooms. London Eye Pier is next to the London Eye, County Hall (with the London Aquarium) and close to the world-renowned South Bank arts complex (including the Royal Festival Hall). Greenwich Pier provides easy access to the World Heritage Centre of Greenwich, home of the famous tea clipper Cutty Sark. Loved the river cruise, lovely man pointing out interesting places, made it more enjoyable. Relaxing way to see the sights. London eye,nice to do it once, daughter loved it. London very expensive , this was best price i could find. An Excellent Day & Really Well Organised. Absolutely amazing, breathtaking & at an amazing price. Really recommend this deal. Great value with no fuss! Easy to redeem vouchers once in London without any hassle. Would definitely purchase fast track tickets for London Eye if I was to book again. Great day out. Everything was very easy. Thanks. Loved the river cruise, London Eye was average but i don't like heights so it wasn't my thing. Great afternoon out. Upon your arrival at the Coca Cola London Eye, please exchange your voucher for a timed ticket at the ticket office, before taking your place at the boarding gate. Really value for money and prompt delivery of tickets.